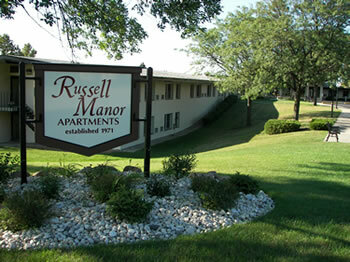 Russell Manor is carefree living at its best! 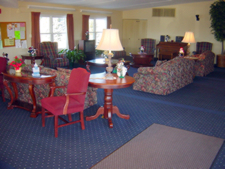 Russell Manor is independent living, at it's best. Providing city convenience on one side and country living on the other. Offering 113 one-bedroom apartments, located on a ten acre park-like setting and surrounded by a city park. Russell Manor Apartments are now SMOKE FREE! There is a lobby, activity room, library, dining room (noon meals available), on-site mail delivery, four Laundromats, on-site resident and a security locked system at night. Outside gardening areas are also available.